Located in Central New Jersey, Monmouth County is the perfect place to raise a family or start a business. As the state’s fifth most populous county, there’s no question that the area provides a wealth of opportunities for newcomers. 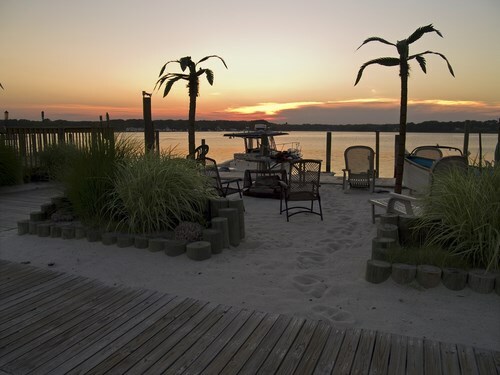 Whether you want to open a beachfront cafe or buy a home on a hillside in the Northeastern portion of the county, you’re sure to find everything you desire in Monmouth County! Monmouth is one of four New Jersey counties that make up the 127-mile long Jersey Shore. Along the beaches, you’ll find boardwalks and promenades with restaurants, amusement parks, water parks, and plenty of retail shops. The largest commercial boardwalks in Monmouth County are located in Asbury Park, Long Branch, and Keansburg. Spring Lake, locally known as the “Irish Riviera,” is a small, quiet beach resort town with expansive Victorian homes, upscale boutique shops, cafes, and a managed beach. Monmouth County is a haven for boaters and fishermen with the desire to explore several rivers and bays that flow throughout the county and into the Atlantic Ocean. The Manasquan Inlet serves as the starting point of the Intercoastal Waterway, which attracts about 1,600 boaters on weekends during the peak season. From pick-your-own farms with fresh produce to a local apiary that offers honey tasting, a variety of agriculturally based venues can be found throughout Monmouth County. Grown In Monmouth, an initiative supported by the Monmouth County Board of Chosen Freeholders, provides a directory of farmer’s markets, Christmas tree farms, wineries and breweries, restaurants, and more. The Monmouth County Park System hosts year-round programs that are a great way to meet new friends, discover new interests, or find an exciting hobby. From pottery and cooking classes to nature hikes and story times, you’re sure to find an activity of interest to every member of your family. Programs are also designed specifically for county residents with disabilities to encourage physical, cognitive, emotional, and social functioning—along with a sense of community belonging. Are You Planning to Move to Monmouth County, NJ? From beachfront entertainment venues to unlimited opportunities to connect with nature, Monmouth County has something for everyone! In order to ensure that your relocation to the area is streamlined and stress-free, the residential and commercial movers at Harrington Moving & Storage are ready to help you create a custom move plan that fits your needs and budget. Give us a call today to learn more about our award-winning New Jersey moving company, or use our quick online form now to request your free quote.